211 Bernard: Zadie Smith's SWING TIME: Out NOW + Event announcement! 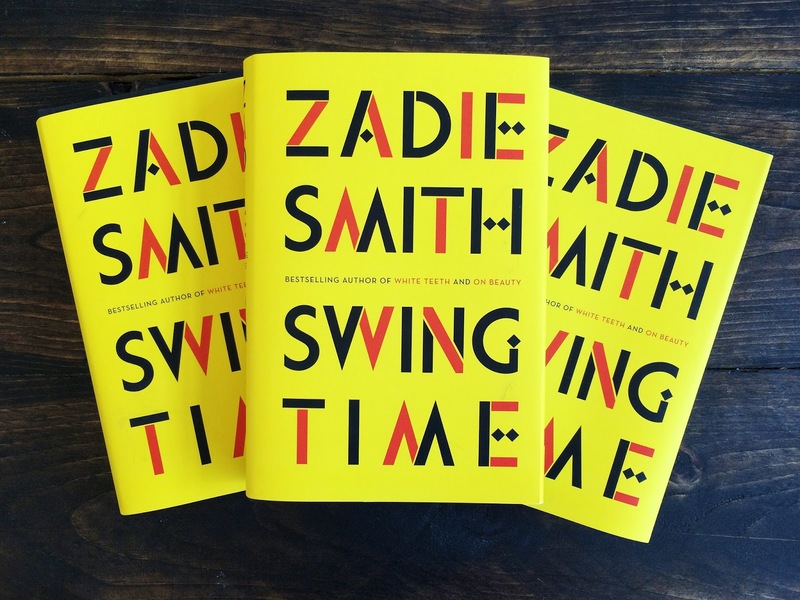 Zadie Smith's SWING TIME: Out NOW + Event announcement! If you're looking for a novel to curl up with during the impending winter months, look no further than Zadie Smith's fantastic new book Swing Time. Dazzlingly energetic and deeply human, Swing Time is a story about two friends, music, stubborn roots, and about how we are shaped by these things and how we can survive them. Moving from North-West London to West Africa, it is an exuberant dance to the music of time written by one of the most mind-blowing women to put pen to paper in the last 100 years. Read about the amazing Zadie Smith in The New York Times, in The Washington Post, and in The New Yorker. Is an advance ticket coupon a ticket? NO. This will not get you into the event on the day of. Please do not try to use it as a ticket. It's an advance ticket coupon, which gives you access to a FREE ticket before the actual tickets are released FOR GENERAL SALE on all platforms. It is not a ticket, but it will get you one. Why not just give me a ticket? We want to thank everyone who bought their copy of Swing Time at our brick and mortar store Librairie Drawn & Quarterly. It’s only because of your support that we can offer amazing events like this one, BUT we understand that life can change in six months. We don’t want to give everyone a ticket that buys the book, sell out and then have an empty room because someone that bought the book in December had a wedding to go to in May, etc. This gives you first dibs on tickets. Before we release the tickets for sale to the public, there will be a period of time we will GIVE tickets to coupon holders who come to the store and give their contact info (just in case anything changes so we can let you know) in exchange for a REAL bona fide ticket. This is first come first serve. An advance ticket coupon is not a guarantee of a ticket. *Remaining tickets will be released for sale online, by phone, and in store.